With deep red, brown, and black coloring, Hondorus Rosewood is perhaps most famous for its use in fine woodworking such as custom cabinetry and furniture, or the construction of musical instruments. Very strong and durable, Rosewood trees can grow to startling heights, with their strong branches often joining the canopy of the tropical forests in which they grow. 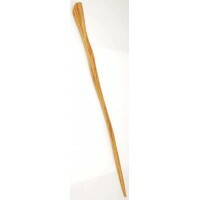 This longevity and the rich, earthy nature of the wood lends potency to any earth-related spell that a wand crafted of Rosewood is utilized in, particularly when the spell or ritual involves woodlands and the energies that reside therein. Rosewood is also well known for being a potent aid in empowering charms and love spells. 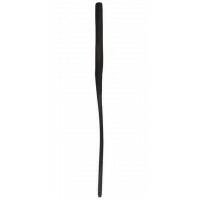 Approximately 16 inches in length, these traditionally styled pagan wands vary slightly in size and shape, as they are hand crafted to work with the natural grain and beauty of the wood. Item Number: AA-RWPRS14 | Approximate Size (Inches): 0.25 wide x 0.25 deep x 16.00 high | Approximate Shipping Weight: 1.00 lbs.